The workshop is co-organised by the IEEE Technical Committee on Robot Learning and sponsored by the IEEE Technical Committee on Marine Robotics . Selected contributions will be asked to submit an extended version for consideration for a Special Issue of the Springer Autonomous Robots journal. In recent years, persistent autonomy has become a key area of interest for marine robotics researchers. Ocean observatories require autonomous robot deployments over months or years, observing dynamic phenomenon both synoptically and over variational scales in space and time. Deep-water oilfield inspection and intervention with autonomous vehicles is now a commercial reality, but fielded robots rely heavily on accurate a priori models of the subsea assets. Robustness to errors in autonomous contact tasks, such as valve turning on a wellhead, requires detection of execution errors and correction at any or all of dynamic control, motion planning or task planning levels. Numerous coastline security applications require extended operations over the horizon, with the ability to detect, track and re-plan when objects of interest are located, or shared between robots. 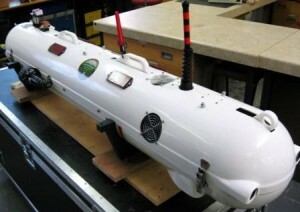 Today, our current generations of Autonomous Underwater Vehicles (AUVs) are generally limited to preplanned missions, or to limited forms of autonomy involving script switching and re-parametrisation in response to preprogrammed events. Realising the persistent autonomy that users in the ocean increasingly demand is involving a greater capability in understanding sensed events to detect failure and error, and more capable task planning approaches that can adapt behaviour and control in new ways. Research activities include richer semantic modelling of the environment using ontologies derived from sonar and video sensor data, skill learning applied to underwater autonomous manipulation using machine learning, plan adaptation to correct errors, and robust control to reduce effects of poor low level control exciting higher level decision making unnecessarily. This workshop is aimed to promote exchange and sharing of experiences among researchers in the field of persistent long-term autonomy for autonomous underwater vehicles. The programme of the workshop will consist of invited talks and selected papers for oral presentation. The format will encourage active interaction among participants, with short presentations to give time for discussions and brainstorming on future directions. approaches and contribute to the definition of the future challenges in the field. Although the main focus will be on underwater vehicles, a few talks from other domains are expected, in order to foster cross-domain cooperation, and increase the audience.